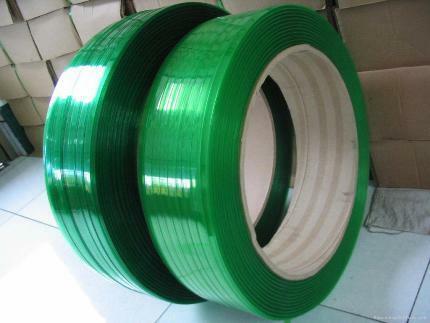 At present, PET strap is replacing steel strap and widely used by most steel, aluminum, chemical fiber, cotton, bricks, paper, timber, construction, metal industries for medium & heavy load strapping. With compatible tensile strength and higher shock load of steel strap, thus ensure the safety in transportation. Elongation of PET strap is only 1/6 of PP strap, can withhold longer tightening force. Melting point of PET is 260°C, will not deform under 120°C. Without sharp edges of steel strap thus preventing damaging to strapping object and safe in operating. Will not rust and pollute as steel strap, resistance to UV ray. One metric ton of PET strap is equivalent to six metric tons of steel strap, Since unit price per meter is lower, thus can bring down much of your cost.